Ole Ray's Pork-O-Licious Barbecue Sauce. A spicy blend of Old south flavors. Delicious on pork, beef brisket, chicken, etc. Excellent for basting or as a marinade. Ingredients: yellow mustard, tomato paste, brown sugar, Worcestershire Sauce, honey, corn syrup, apple cider vinegar, apple juice concentrate, natural hickory smoked flavor, lemon juice, cayenne pepper, cinnamon, garlic, onion power, spices. 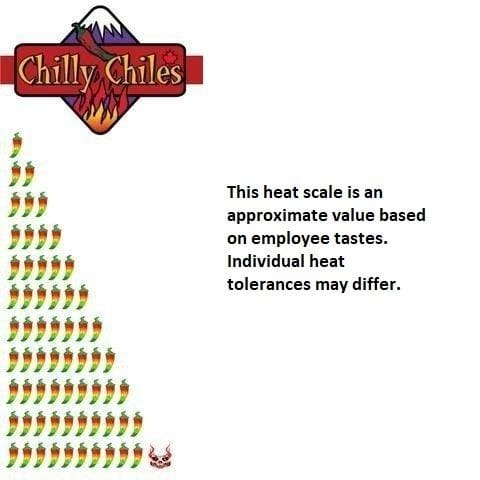 I enjoy all the Ole Rays products ,and look forward to doing buisness with chillychiles in the future. Everything arrived on time and well packaged.